Tonight was another amazing episode of The Walking Dead, did you see the episode? If you missed anything, you can read our full and detailed recap HERE. Next week is the mid-season finale and we have managed to get our hands on a sneak peek of the episode below for you! Essentially we found out tonight that the Governor is a bigger moron than we all thought he was. Is anyone going to tell Andrea what is going on? Glenn held up in the beating that was dealt out by Merle, it is definitely his becoming a man and damn I was impressed. But, what happened to Maggie had to be worse, it was so degrading and a complete power play on the Governor’s part since he was recently satiated by Andrea and she even told him she was coming back. I’m left wondering after tonights show how Michonne could not have realized who Rick and his crew were, didn’t Andrea talk during those eight moths they were together? Official AMC synopsis of next week’s episode:Andrea steps up when the people of Woodbury are thrown into uncharted territory; a new threat arises at the prison. On next week’s episode Andrea looks takes a good hard look at the Governor’s family photo and he thinks it is because Woodbury is growing on her, but is it? The Governor wants to get rid of Maggie and Glenn because the longer they are at Woodbury the stronger the chances are that Andrea will find out about them. Daryl has mixed emotions when they storm Woodbury, Rick needs him but his feelings for his brother might just get in the way. Michonne finds someone behind a mask, hands bounded and in a closet; and we all know that it is Penny, the Governor’s daughter who turned into a walker – the cat is out of the bag! Someone gets left behind in the prison and Carl is in charge. 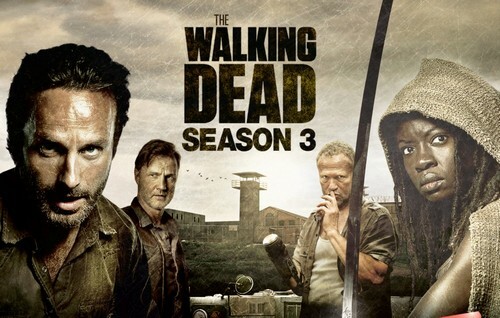 Meanwhile, Rick and his group try to over take Woodbury to rescue Glenn and Maggie, will they be able to do it? One thing is for sure, both Andrea and Daryl are going to have to choose sides and there is going to be a lot of blood shed, in fact, the mid-season finale is said to be the bloodiest and most disturbing so far. Can you believe it? Is it possible to get more gruesome than Lori’s demise or the walkers feasting off the cabin owner tonight? I’m so excited for the next episode, are you? Check out the previews in the meantime and hit the comments section below, who will prevail, the Governor and his Woodbury or Rick and his group?